Patagonia has the outdoor lifestyle pulsing through its veins. 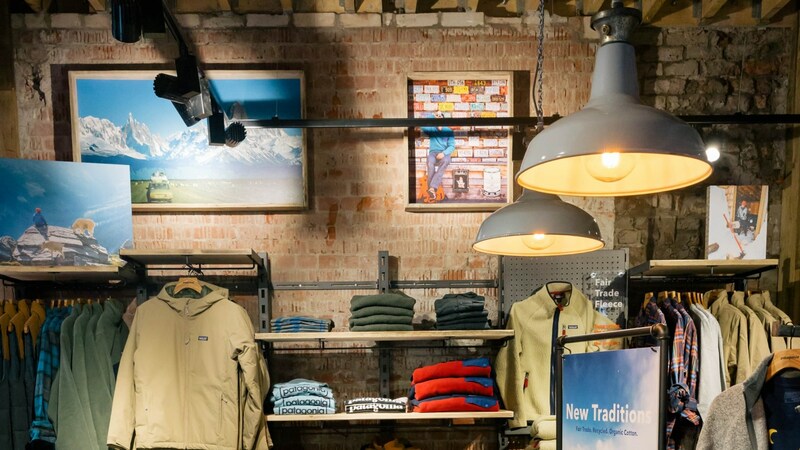 For its flagship UK store the designer of outdoor clothing for the silent sports - climbing, surfing, skiing and snowboarding, fly fishing, and trail running - called for re-purposed original vintage lighting with authentic heritage. The store is located on Manchester’s King Street, a fitting location with Britain’s Peak District and Yorkshire Dales National Parks nearby. Patagonia, an environmental advocate, and local interior design studio Collective Design were keen to continue city’s industrial heritage by re-using a number of skinflint lights salvaged from various industrial locations across the British heartlands. Restored enamelled pendants by British Manufacturer Benjamin, which were once installed at a factory in the midlands in the 1950s, now illuminate the entrance table. Meanwhile wall-mounted bulkhead lights from the 1930s and 1940s and vintage fluorescent lights salvaged from a 1950s pottery factory in Stoke-on-Trent are used elsewhere in the store, all helping to reinforce Patagonia’s approach to product design - a bias for simplicity, utility and longevity of product.